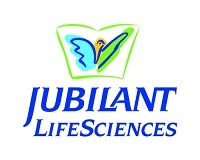 Jubilant Life Sciences Ltd.-2019 is inviting eligible Candidates to apply online for the position of Financial Analyst. Jubilant Life Sciences Limited,(erstwhile Jubilant Organosys) is an integrated Pharmaceutical &amp; Life Sciences company. As India’s largest Custom Research and Manufacturing Services (CRAMS) player and a leading Drug Discovery and Development Solutions provider out of India, it is constantly engaged in delivering value to its global customers through innovative technologies, products and services. The Company’s strategic focus is to innovate, collaborate and accelerate the process of delivering products to the market for its customers. Responsible for driving Strategy (5 year plan) & Budgeting (Current year) process for respective businesses. Salary : INR 10,00,000-20,00,000 P.A.